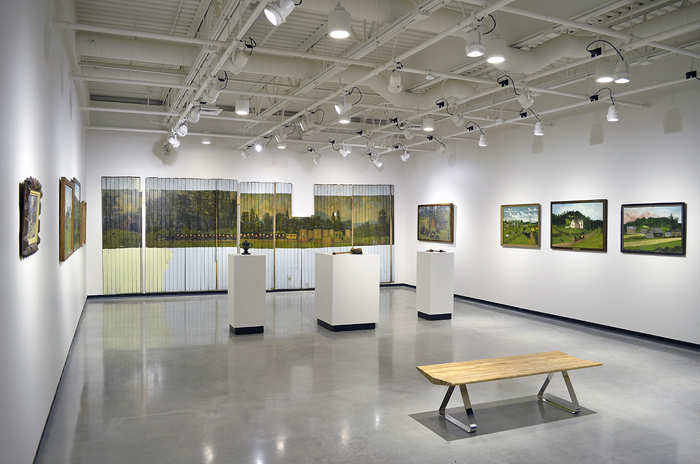 Potter Lawson has worked on the Edgewood Campus for over 25 years. 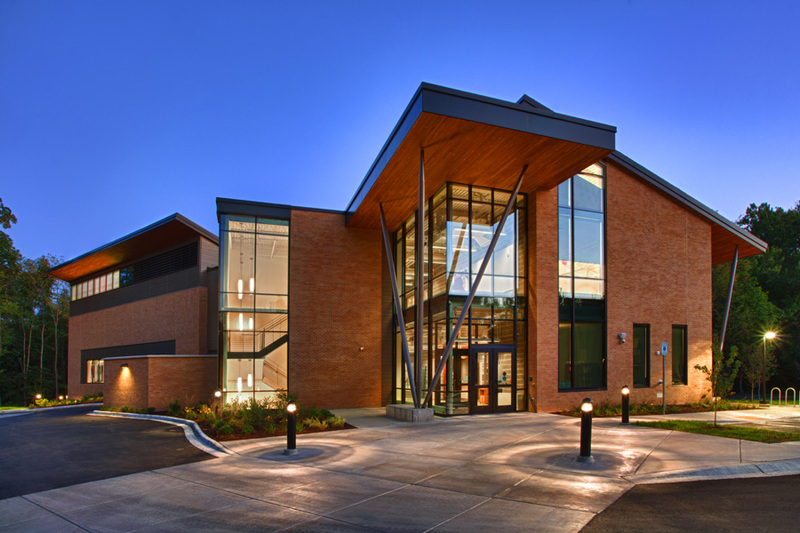 The Stream, a visual and theater arts center, is Edgewood College’s newest project. 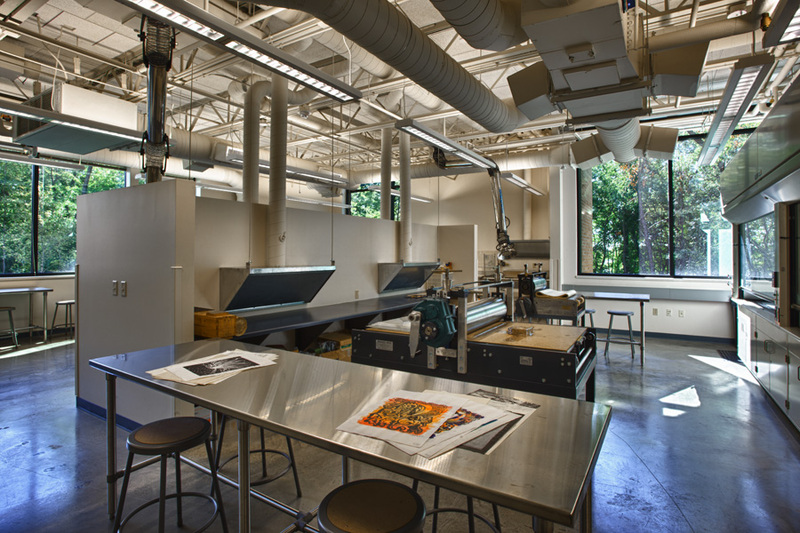 The 3-story, state-of-the-art structure dramatically improves the size and quality of art space for the Liberal Arts Department. 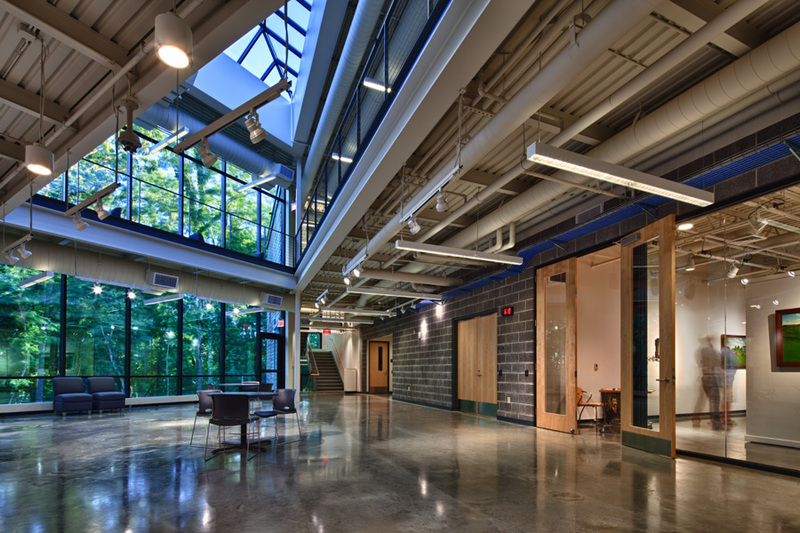 This exquisite building includes: offices, a professional art gallery, an art therapy lab, a central commons area, and art studios for students in graphic design, ceramics, sculpture, video and photography. 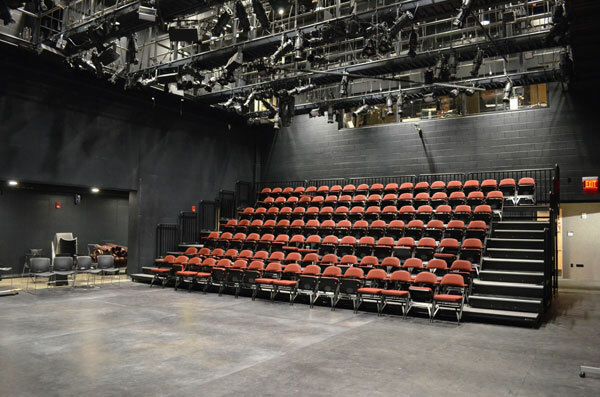 It also features a 7,000 square foot theater with seating for 125 people and space for stagecraft and a green room. 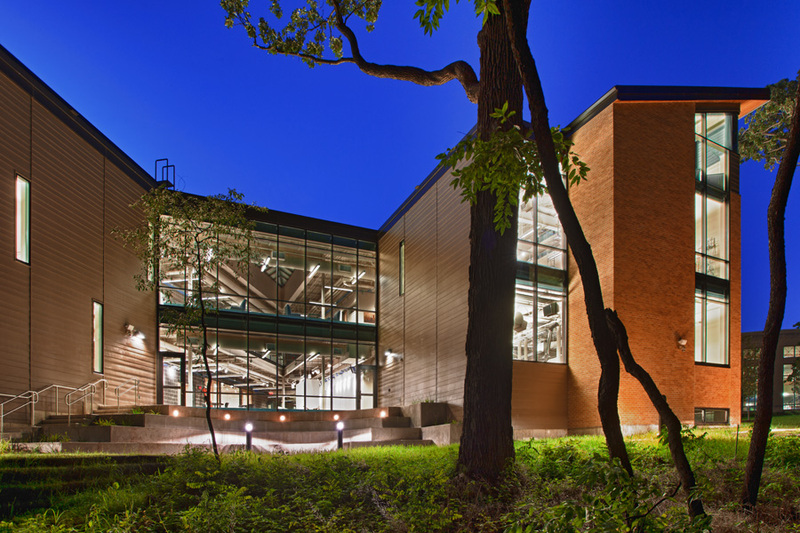 The building is uniquely designed to blend into the Edgewood campus beautiful woodland area and surrounding neighborhood. Copper panels were used on the exterior to blend with the woodlands, as well as the scale and sloping roof were kept relative to the surrounding neighborhood homes. 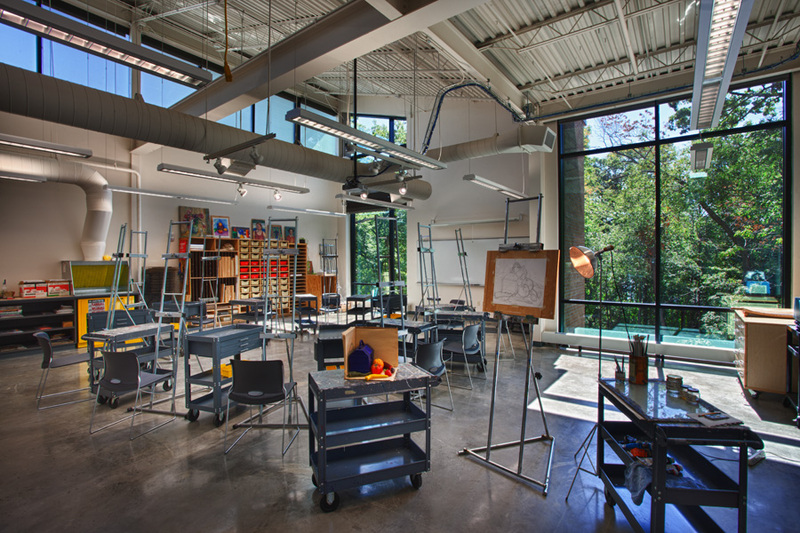 The sloping roof provides clerestory light for the studio classrooms. 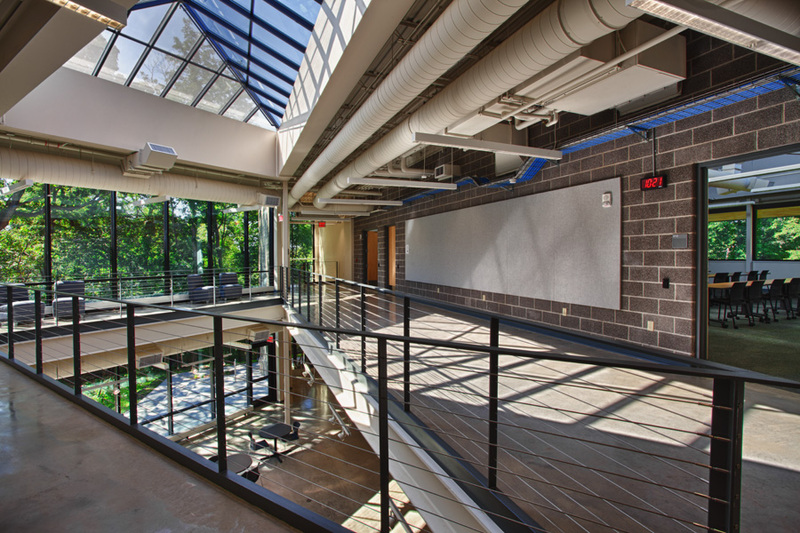 Top-notched interiors combined with high-end finishes truly makes this building one-of-a-kind.